In order to gain access to various events as a freelancer, you may need or want to have a press pass proudly displayed around your neck. While these types of credentials are more readily available for people who are employed by larger media organizations, such as national newspapers, it is still possible to get a press or media pass when you're working freelance. If you are looking for a press pass to cover a specific event, such as a conference or a trade show, it is best to get in touch with the event organizer directly. The event website typically has a page where you can fill out a press or media application, and it is important that you submit this form well in advance of the event itself. If there is no media application or there are no specific instructions on the associated website, seek out the contact information of the marketing or public relations (PR) professional who is managing the event. Intrepid Freelancer has a step-by-step guide for the typical process. 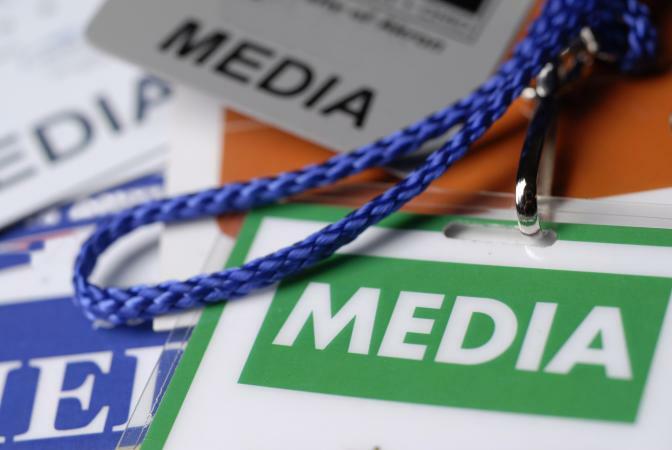 As a freelancer trying to attend an event speculatively before "shopping" the story or photos to a media outlet, it may still be possible to get a press pass. Freelancers who have a serious audience of their own will generally have more success here, as might be the case with popular photographers who shoot for Getty Images, for example, or journalists who have a strong history of writing for major publications on a consistent basis. However, you will find it is generally easier to gain approval for a pass when you are attending an event on assignment with a media outlet. The outlet can provide you with documentation on their official letterhead to indicate you are working for them in this capacity, which is functionally equivalent to if you were an employee of theirs covering the event. They may help you with the process of getting a press pass or you may need to acquire one yourself. If you are less interested in attending specific events like expos, sporting events, concerts, and fashion shows, and you are more interested in getting behind taped off crime scenes and other areas with restricted access, you may want to inquire into getting official credentials and identification with your local authority. Each jurisdiction handles press credentials differently and has different requirements. The New York City Police Department (NYPD), for example, ask that NYPD Press Card applicants must have at least one item published or broadcast within the last 24 months, and that the individual has personally covered at least six events on separate days in the past year. While the possession of such a card does not guarantee access or admission to events or crime scenes, a photo identification card from the National Press Photographers Association (NPPA) does serve as a legitimized form of identification when trying to gain access to such situations. The NPPA asserts there is no such thing as a universal press pass, but having the NPPA photo ID will identify you as "a member in good standing who has agreed to uphold the NPPA Code of Ethics." With the understanding that a homemade "press pass" doesn't actually hold any real credence, it may help in identifying you with security personnel and other access control professionals as a freelancer. This may help with some level of credibility, particularly at events where press passes are not being issued. Take some time to design your own custom press pass on your computer or hire a professional designer to do it for you. Print it out on high quality card stock and slip it into a lanyard with a card holder. It may be helpful if your DIY press pass has a high quality photo of you on it, as well as some indication of your role and organization. Make sure that the word "PRESS" or "MEDIA" is clearly visible in block letters. You may find yourself in a chicken-and-egg scenario when trying to get a press pass as a freelancer. The media application form for the event you're trying to attend may require that all freelancers be on assignment from an established media outlet. At the same time, you can't guarantee you'll have access when you first pitch the story to that media outlet. Keep this in mind and have a contingency plan in place just in case.